Police are presently investigating a Robbery with violence which occurred at the Home Pride Bakery which also houses MoneyGram at Westerhall, St. David. The incident occurred just after 11:00 am on Wednesday, 9 October 2013. It was reported that two masked men entered the said building, instructed the occupants to remain stationery, pointed a gun at the cashier and demanded monies. The robbers alleged fled the scene into some nearby bushes with an undisclosed sum of money. 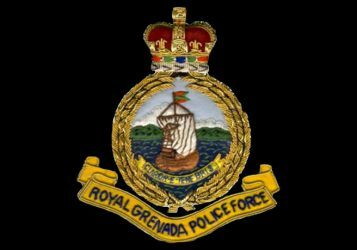 Presently three persons are in police custody assisting them with their investigations. Also, one vehicle was also confiscated for investigative purposes. Meanwhile, during the wee hours of this morning (10.10.13), a Police Officer was reportedly ambushed by three masked men who were armed with a gun. The incident took place at the Ministerial Complex situated at the Botanical Gardens, Tanteen, St. George’s. The officer who was on duty at the time, was allegedly attacked from behind and beaten all over his body by the masked men who then stole a 9mm pistol loaded with fifteen (15) rounds of ammunition and a blackberry torch from him; they then made their escape by running away. Anyone having information concerning these incidents is asked to call the Criminal Investigation Department on 440-3921 or Police Hotline on 444-1958.